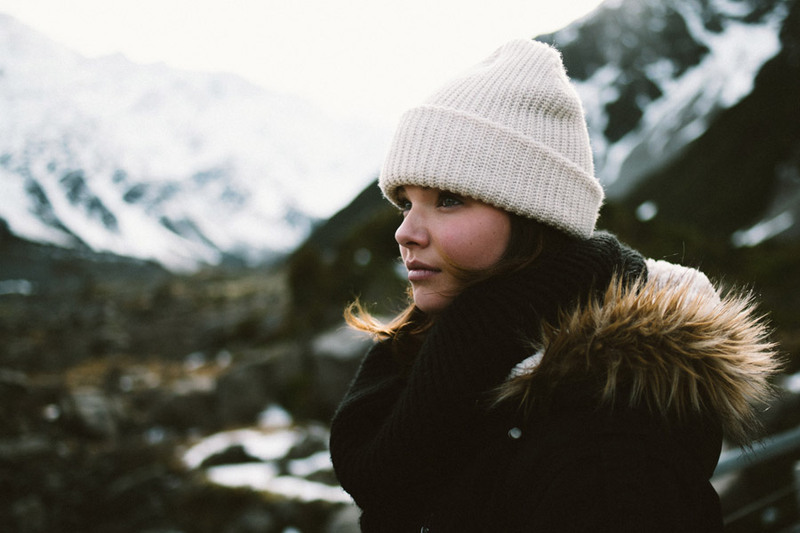 We all know that the cold wind and dry heat of winter can cause dry skin, but did you know hair is just as prone to damage from the winter weather? During the summer months, we know we should take extra care to moisturise our hair to minimise the damage from the heat and sun. You’ll find our holiday hair care tips here. The same special care must be taken during the winter months too. Cold winds, central heating and freezing temperatures can all cause your hair to become frizzy, dry and brittle. In the winter, we spend more time in the dry air of heated areas, which can really take its toll on your locks. Invest in a gentle shampoo that won’t strip the hair of much needed moisture. A deeper conditioner protects the hair and prevents damage from the cold weather or central heating. Wondering what’s best for your hair? Ask your stylist for a complimentary consultation to look at the condition of your hair and advice on the best moisturising products for you. Regular trims every 6-8 weeks are essential. I think this is the most effective way to keep your hair healthy and get rid of those dry, split ends. Did you know on average your hair grows 1.25cm every month? So even if you’re trying to grow your hair getting rid of any split ends by cutting about half an inch will keep it happy and healthy. Once a week apply a deep conditioning hair masque. This will help to replenish and lock in moisture from dry hair, which tends to get depleted from things such central heating at home or in the office and the cold winter air. Not only will this help soften frizzy and brittle hair, but it will also create stronger, shinier hair. I particularly like La Biosthétique’s Tricoprotein Hair Masque which is great for the hair whether it’s coloured, fine or just dry. You could also use La Biosthétique’s Creme Fine Hair, Conditionneur Douceur or Crème Réparatrice which would all keep you hair in tip top condition this winter – just ask one of our team who can help choose the right products for you. We still have some icy months ahead of us, so give your hair some winter TLC and be ready to bounce into spring.